Remember in Tuesday’s post I mentioned that I’d been plagued with flat tires? To paint a better picture, last Friday I got a flat tire. Luckily it was a slow leak and I was able to make it home before it was actually flat. Fixed it. Sunday comes around and I’m getting ready for Monday’s commute and funny story–FLAT TIRE. Again. Not really a funny story. Thankfully Michael fixed it and found the culprit: there was a small graphite sliver embedded in the tire that was causing the tubes to leak from the punctures. Everything seemed better after he found and removed the sliver. Monday morning I had a rock-hard tire and enjoyed my commute. I saw two baby deer on the Springwater trail, a kitten and a momma raccoon with her babies. I was cheerful and enjoyed my ride. How was the commute home on Monday? Can you guess? Yep. Another flat tire. 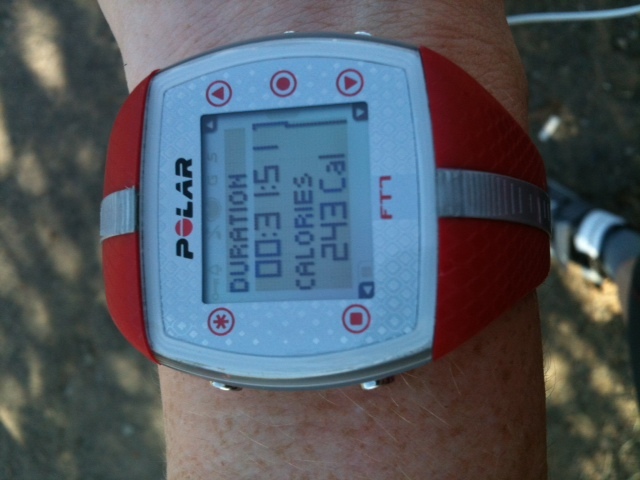 This time I was in the middle of the Springwater trail nowhere near a place where Michael could pick me up. I had to do The Walk of Shame (the bike version) down the trail to the offshoot trail up to Sellwood (the closest place I could meet Michael). 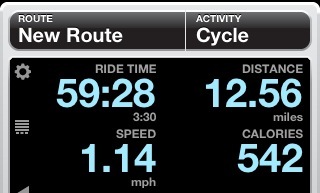 Basically I biked about 2 miles and walked about 2 miles. Fun times, huh? I am so over this! Even more ironic: the special tube I ordered from Amazon arrived in the mail when I got home Monday. It’s supposedly a super thick, thorn-resistance tube that not only weighs a ton but should hopefully change my flat-tire luck. Wednesday’s ride was successful. My new tube held up great. I made it to work without any issues and actually made it all the way home! Sad that that is such a highlight in my day. The ride home was HOT as hell. I honestly think I might have gotten a little heat stroke in the 95 degree ride. 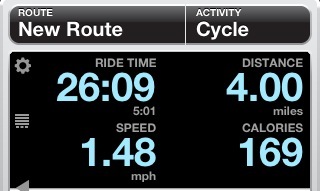 The last two miles home were brutal. I was out of water (note to self: bring two bottles on hot days), I was slow and my energy was fizzling and I started to get the shivers. I think it’s weird to get cold when it’s 95 degrees out. When I got home I immediately drank an entire bottle of Gatorade and took a cold shower. I had a splitting headache for the rest of the evening. Even though I’ve really enjoyed my commuting on bike all summer long, I am looking forward to a break. Michael and I are going on vacation soon and I cannot wait to take an entire week off from the bike. I think it will do my body good to rest! 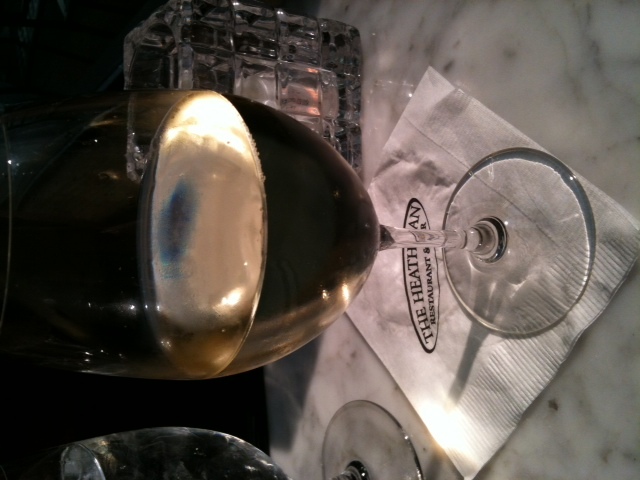 Last night I met up with my cousin Anna at The Heathman Hotel for happy hour. I guess it’s where 50 Shades of Gray takes place? I haven’t read it so not sure. We enjoyed our cold, crisp white wine and the AC in the 99 degree evening. It was so hot! 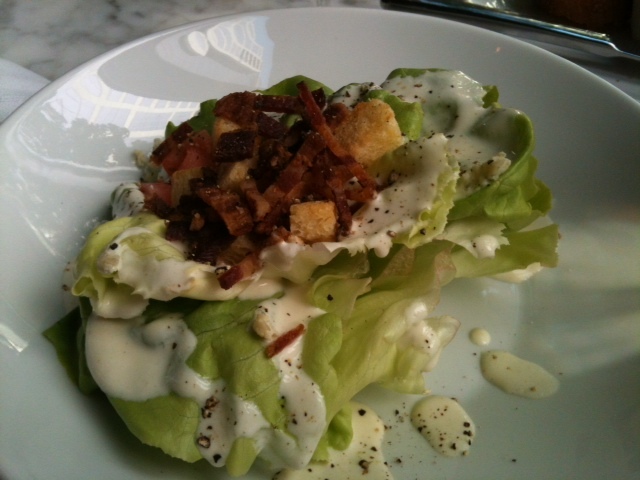 For dinner I ordered a blue cheese and bacon wedge salad and a pork cheek on lentils. The servings were teeny tiny. 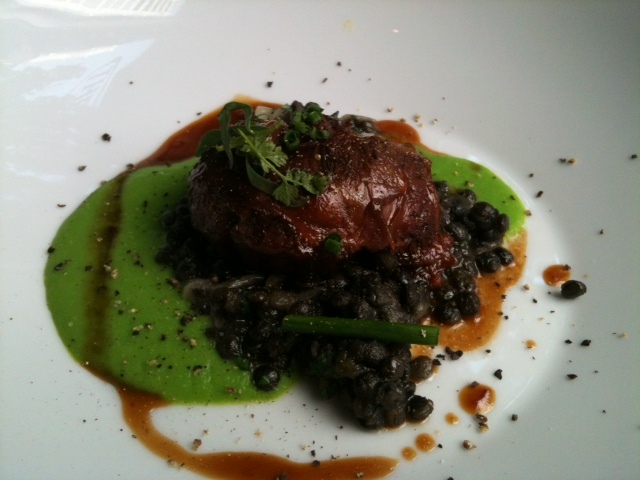 That pork cheek was about the size of a prune. 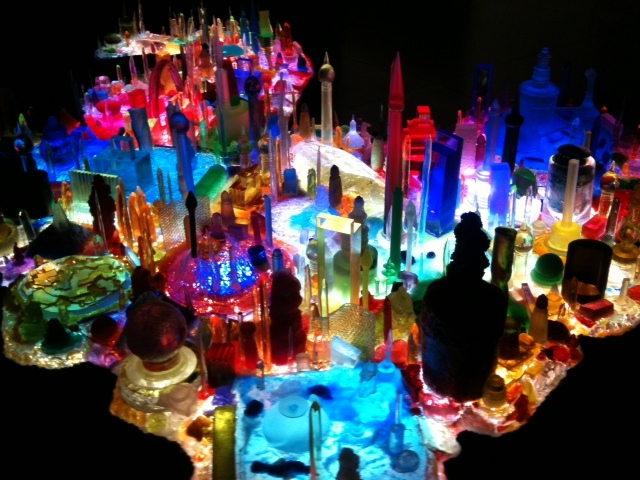 Then we rushed up the street to the Portland Art Museum to see the California Impressionist Exhibit before it closed. 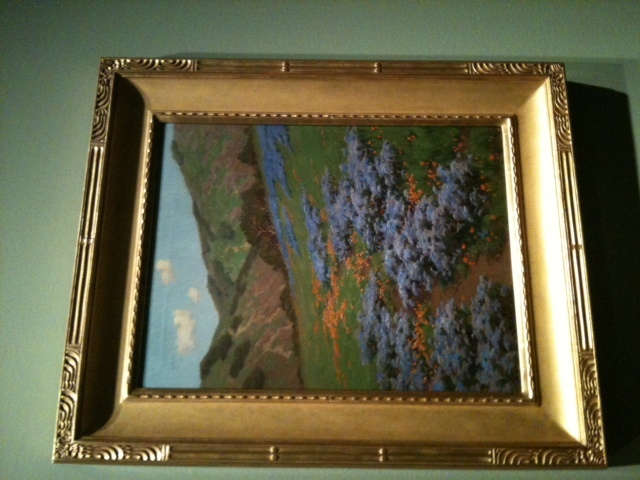 There were some really nice pieces there (my favorite was a poppy field with Mt. Shasta in the background but my photo didn’t turn out). It was about 15 minutes until closing and we were talking to one of the security guys who asked if we had seen the new “plastic Superman city.” We hadn’t and he said if we ran, we could see it before the museum closed. Anna and I got our giddy-up sticks a-stepping and ran through the empty museum to the other side of the building and up four flights of stairs. Yum Yucky wins the pasta from BarillaPlus! Oh Lisa…your tire issues have been BRUTAL!!!! UG! And big UG to this heat. Have a wonderful weekend!! Hope you have a chance to relax! 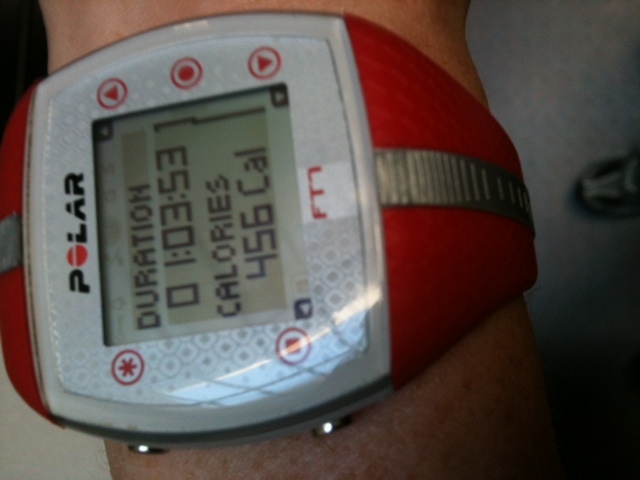 Roz@weightingfor50 recently posted..Feeling hot, hot, hot…. Most definitely brutal. Talk about excessive and frustrating! I hope my luck stays good for awhile now. Time to practice changing your tires so you never have to wait for help again. It’s not bad, really. My advice if you have a beaded tire is to get a beaded tire jack to help put the tire on the rim. This tool is a lifesaver (and hand saver). I got a flat on Saturday and had the tired changed in about 10 minutes – thanks to that tool. Is it that little plastic tool? I think I might have one, I need to double check. But yes, I need to practice more. It is a plastic tool, but not just the little lever for getting the tire off. It’s bigger than that and designed for getting that last bit of tire into the rim. I got one off Amazon. Otherwise – getting the beaded rim on really kills the hands. Yeah it’s definitely not fun and when I first started, I never rode without Michael because I was afraid of being stranded. I got over it. I *can* change a flat tire but I’d rather find a way home and do it there than try and fix it on the trail (it would seriously take me an hour). Last time I checked in here you had a flat tire, too, hope that new flat-resistant tire works for you! And a one week break from your bike may be just the thing you need. Always good to take a break to stay ahead of those pesky overuse injuries. I know! I’ve had a stream of bad luck with tires lately. I think the new tube is good, though. Knock on wood, I’ve been lucky for the last week now. Ah, that has got to be so incredibly annoying. I’m sure that you can learn to change them yourself but I hope you don’t have another one for a long, long time! I know how to change my tire it would just take me an hour to do it by myself!